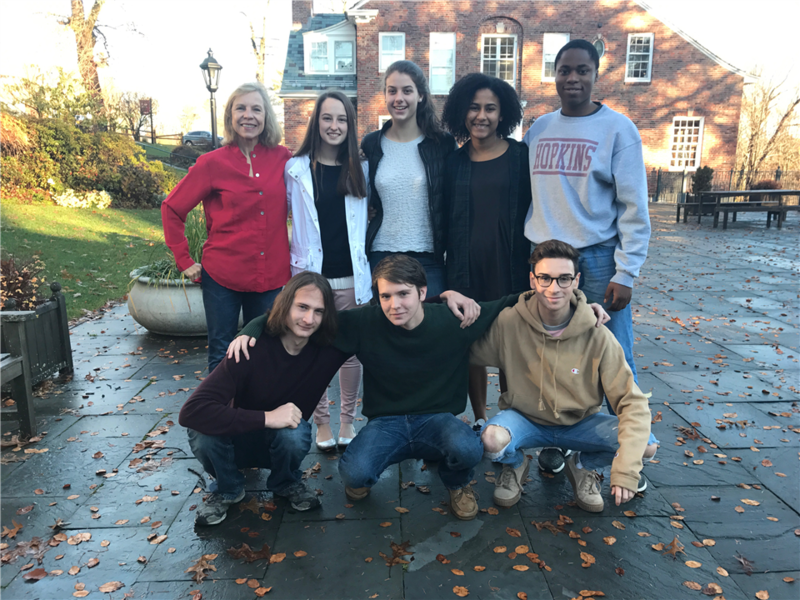 Wineland, former Chair of the Modern Language Department, is retiring in the same year that her twelfth-grade advisees are graduating. At the end of this school year, Susan Wineland will officially retire from her 23 years as a Spanish teacher and nine years as Modern Language Department Chair (2007-2016) at Hopkins School. Her growing passion for teaching and for the Spanish language culminated with her work with the Red Cross in 1972, for the three months she taught classes in Tlaxcala Mexico. At this time, her love for teaching Spanish began to flourish. In 1974, she graduated from American University with a major in Latin American Area Studies, and she went on to teach bilingual education in New Haven. After receiving her master’s degree from the University of Bridgeport, Wineland worked as an assistant in water therapy and a Spanish tutor. As Wineland’s four children got older, she began to work part-time as a Spanish teacher at Laurelton Hall in Milford. This soon changed when her second daughter began school at Hopkins. Retired Director of Academics Rosemary Benedict hired her 23 years ago and says now, “I lured Ms. Wineland away from Laurelton Hall to teach Spanish here at Hopkins. At the time, I was Director of Academics and in charge of hiring. One of the best decisions I made! She is the quintessential independent school person - an outstanding teacher, department head, adviser and coach. She cares deeply for the students and juggles successfully her many roles here. I wish her much happiness in her well-deserved retirement!” Soon, the part-time job Hopkins offered Wineland teaching Spanish quickly became a full-time job. “I love my students, I love my colleagues and the department. It’s been a really happy career for me--always challenging, but always very rewarding.” Many know her as Señora Wineland, but, more importantly, those that know Sue Wineland will remember her as a passionate educator who contributed immensely to Hopkins community, inside and outside of the classroom.